A typical conformal coating selective robotic spray process consists of a programmable XYZ coordinate platform with a valve or valves attached to a controllable arm, depositing coating onto a printed circuit board in areas specified by the programmers of the system. An example of this system is the MACCS 400. Technology varies between the platforms and the valves but essentially they achieve the same result. 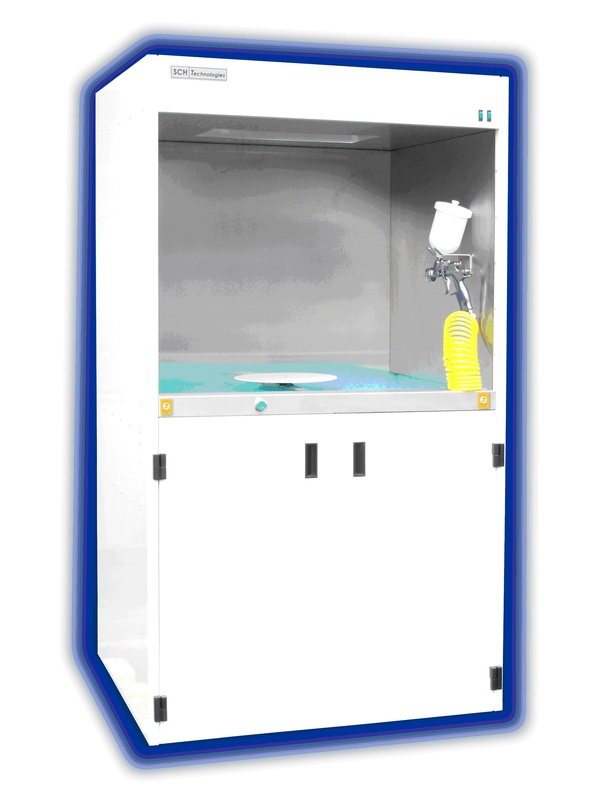 The goal is to deposit coating where you want it, removing the issue of masking which is required in batch processing with dip or spray booths.